Sports and food make a great promotional team! 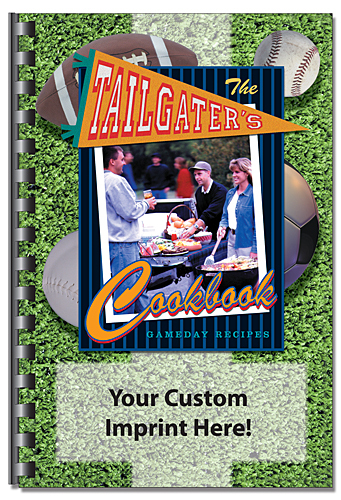 This tailgating recipes cook book makes a great gift item for school fundraising or any sports or company outing. Great for outdoor BBQ events too.